Classes, classes, and more Classes! This past Tuesday I had an amazing time with the Youth Sewing class at the Family Centre. We made some pretty cool hair ties (that also double as skinny neck ties). I LOVE teaching classes. 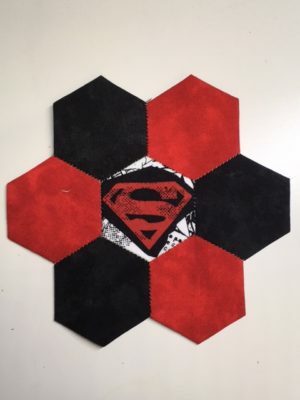 It really energizes me and makes me love sewing even more (if you can believe that). 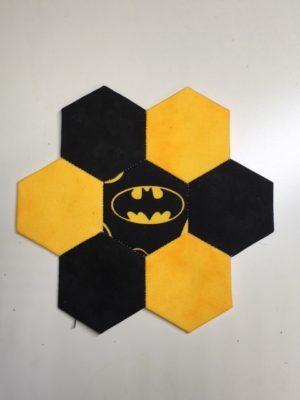 We have a really cool idea in store for the next two adult classes, so if you live in the London, Ontario area, keep an eye on my social media. Speaking of classes, I still have some openings for the GenCon classes I am teaching. 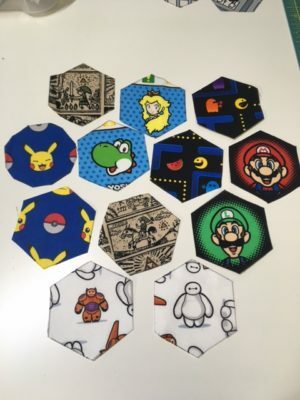 They are selling out fast, so if you want to learn English Paper Piecing, sign up soon! Description: Learn to English Paper Piece, or get help with an existing project you are working on. 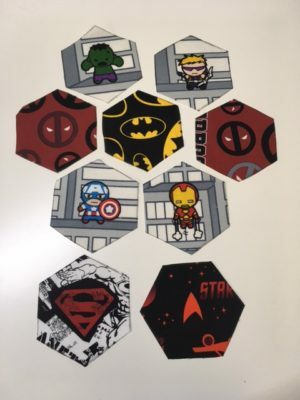 In this class we will start with the basic hexagon flower using scraps of colorful and character fabrics (like Dr Who or Comic Books). 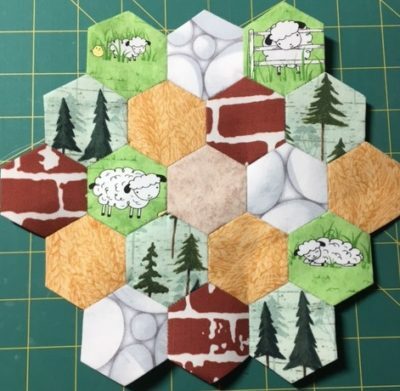 Description: Learn to English Paper Piece by creating a small version of the Catan board, 9″ wide to be exact. 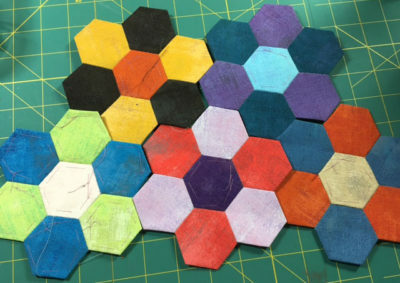 In this class we will start with the basic hexagon shape and add on triangles (for sand) around the edges. 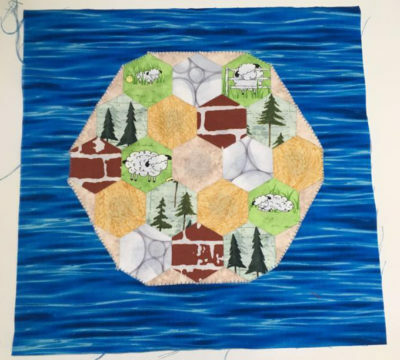 Options for finishing your miniature quilt will be discussed. Nicole’s Scarf classes are all sold out, but don’t despair! If you bring generic tickets with you and someone doesn’t show up, you can have their spot! 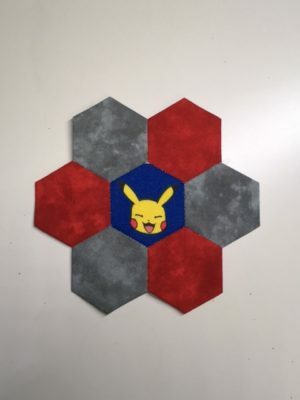 Now to make all of those kits for the classes.